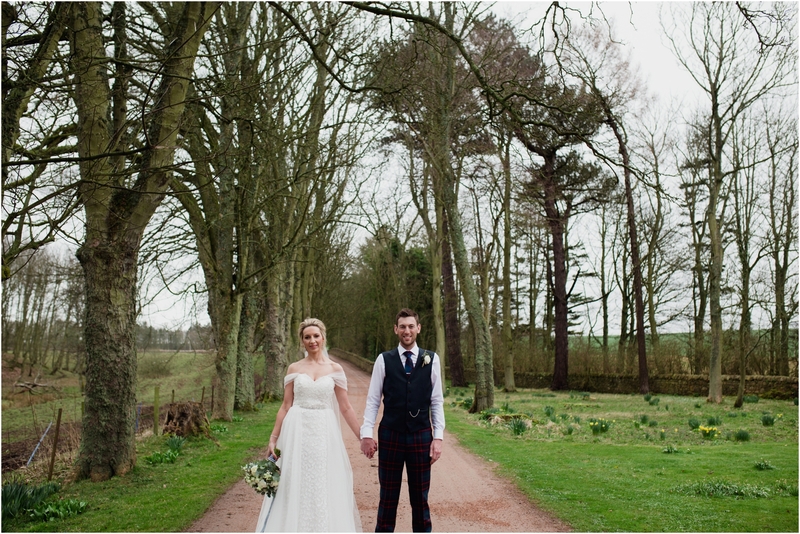 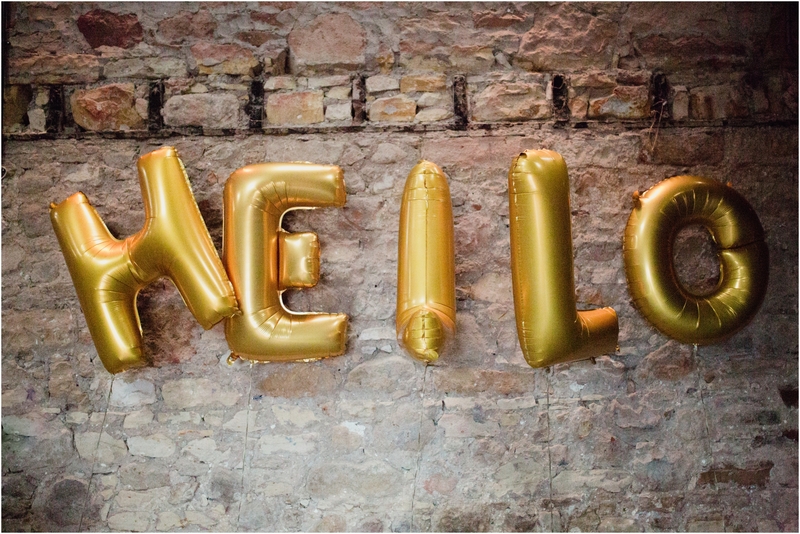 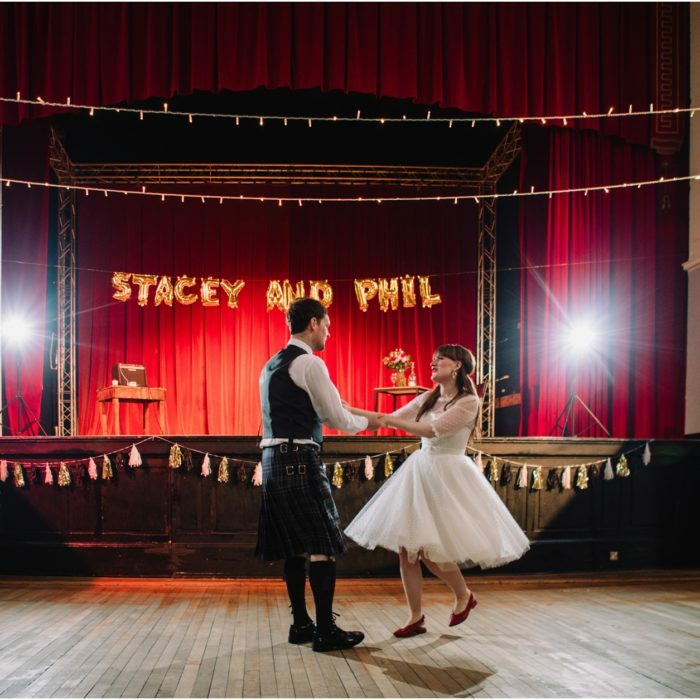 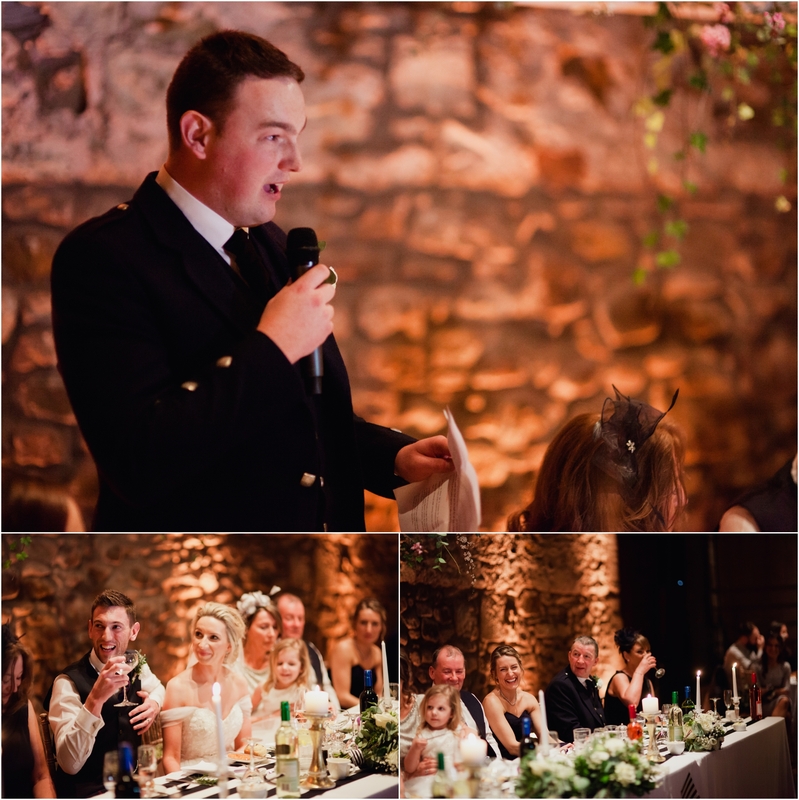 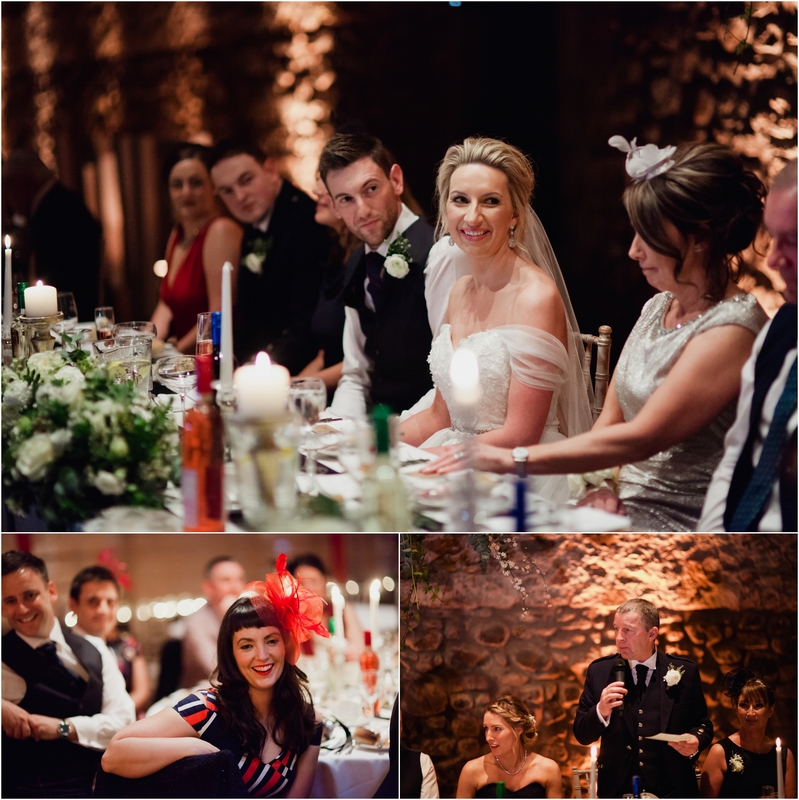 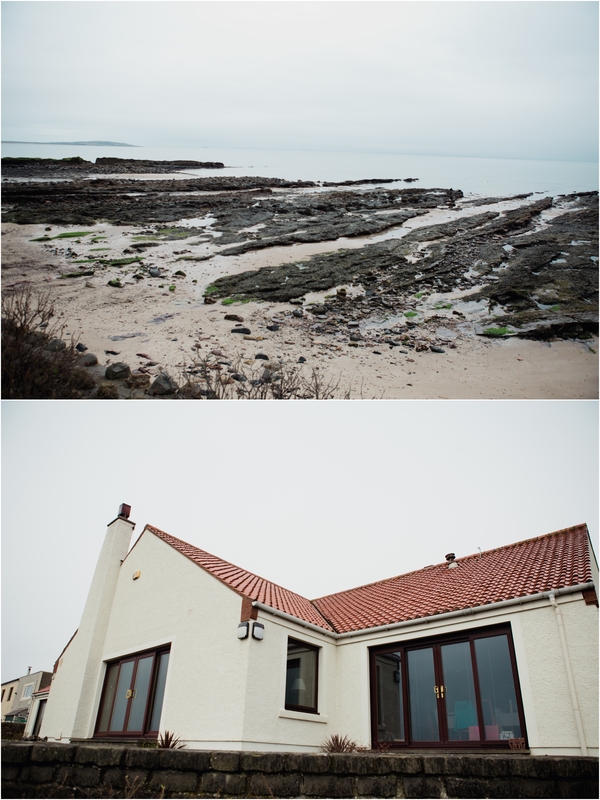 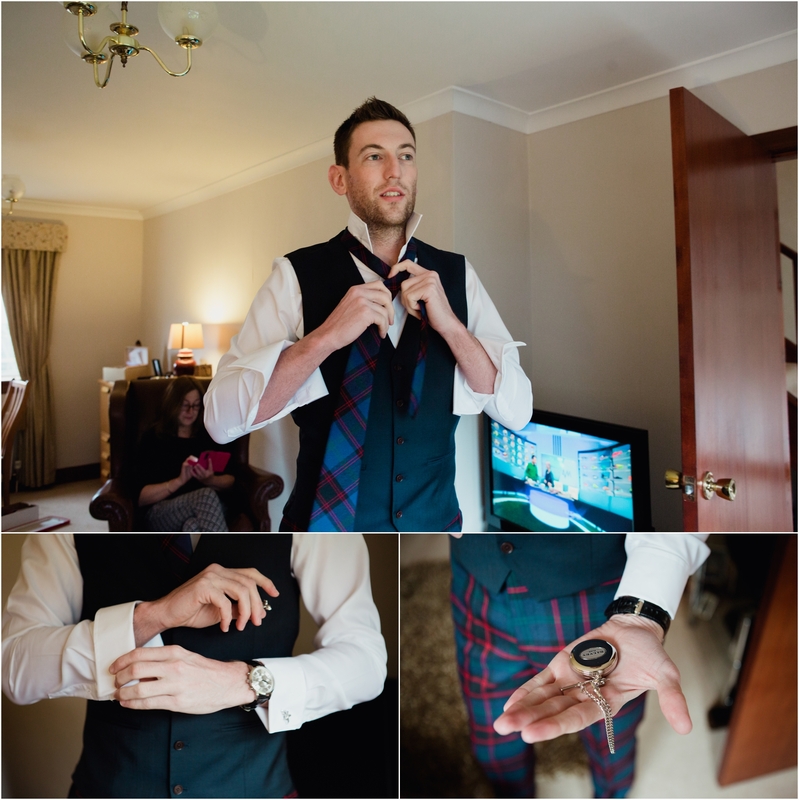 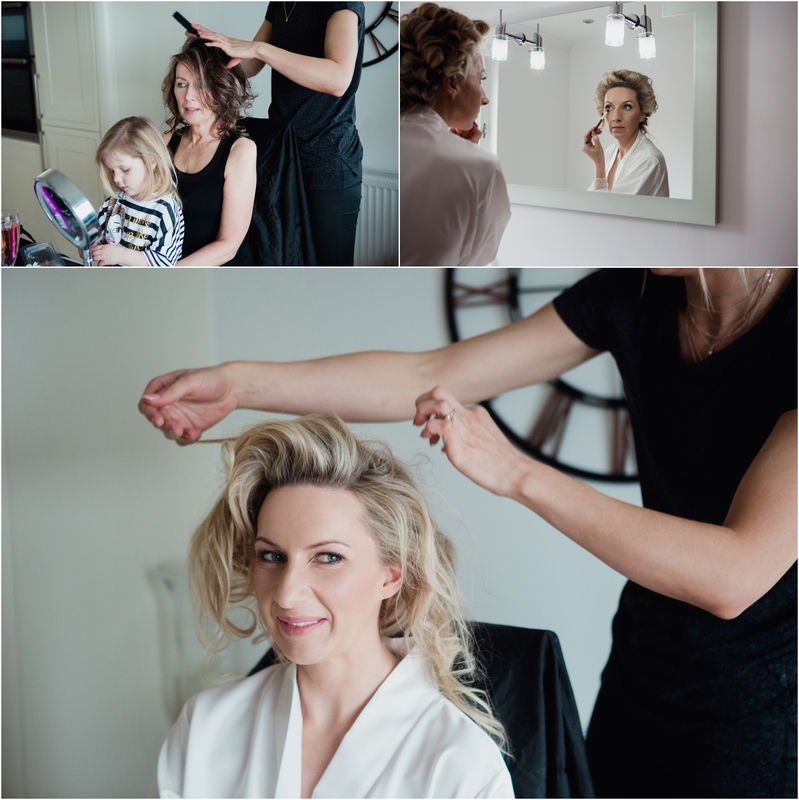 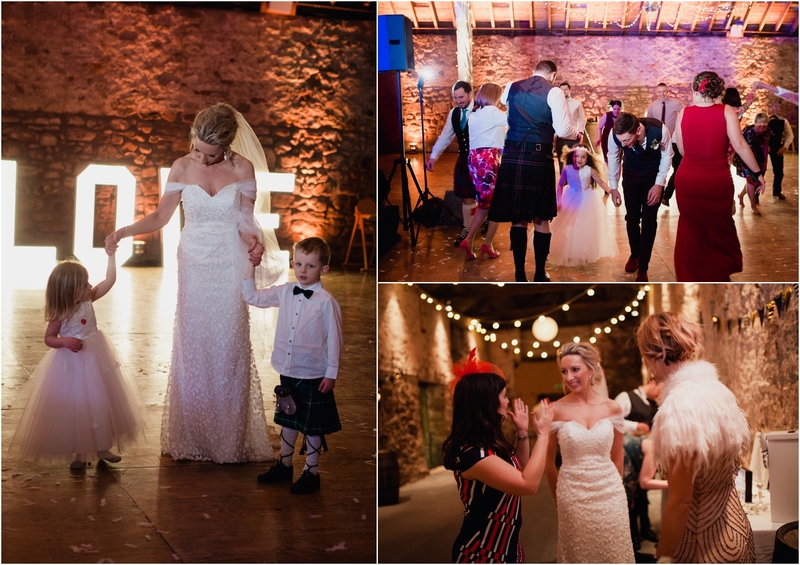 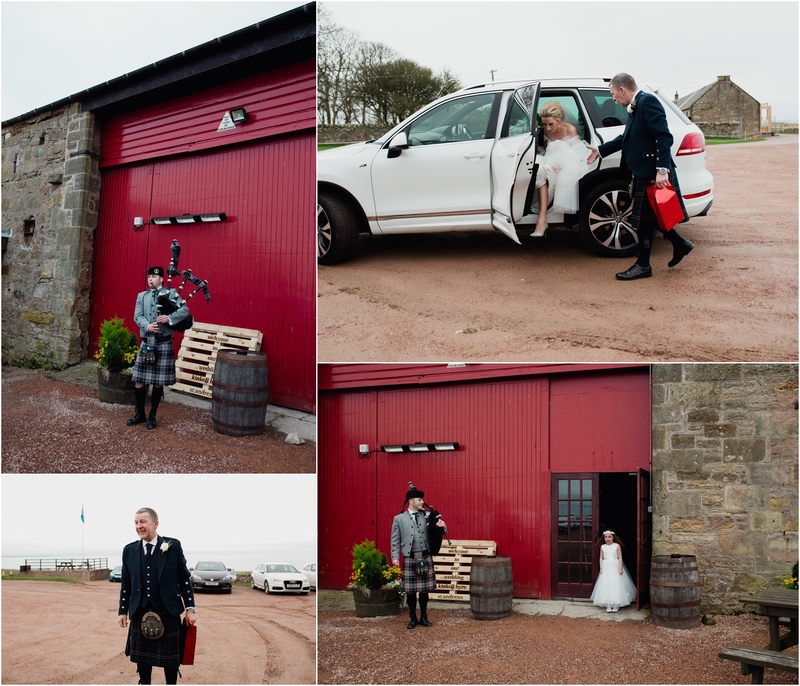 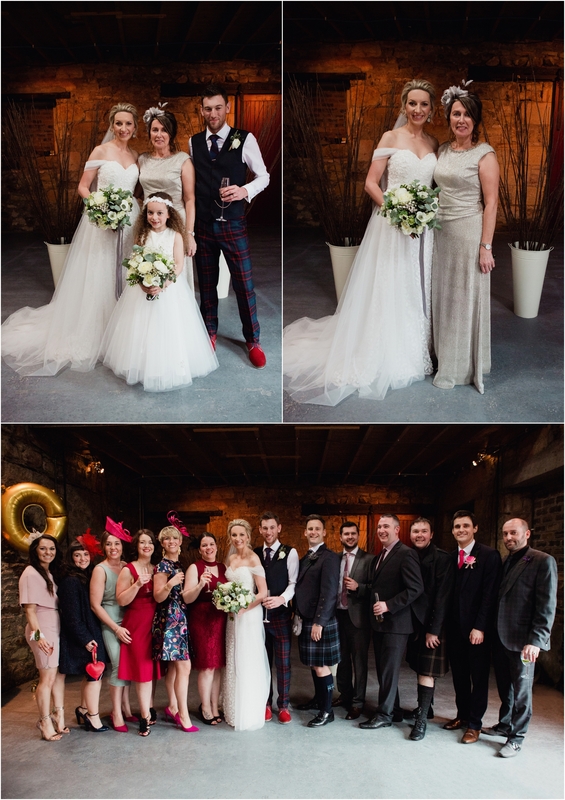 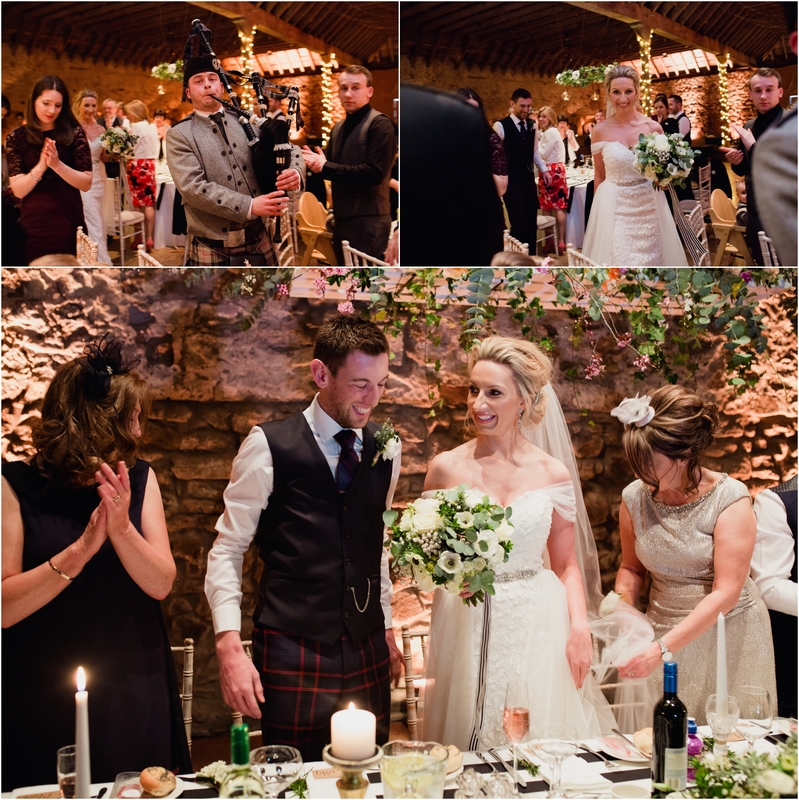 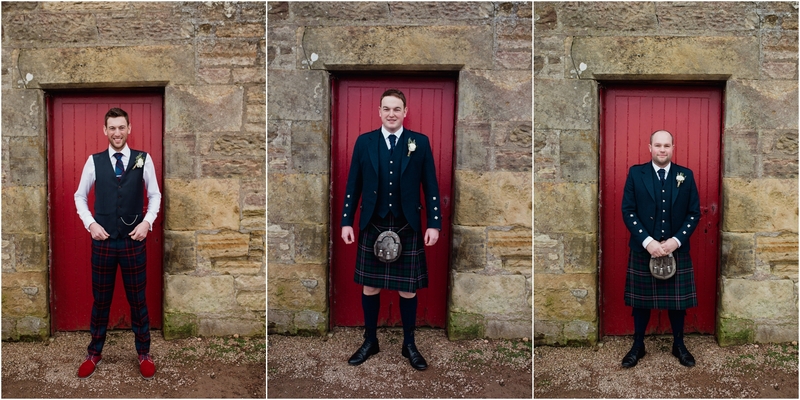 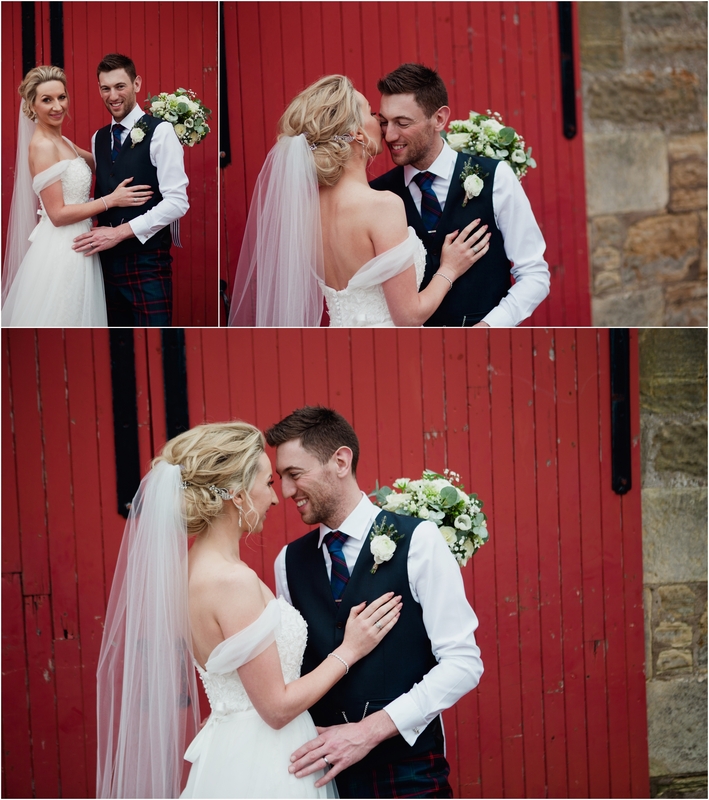 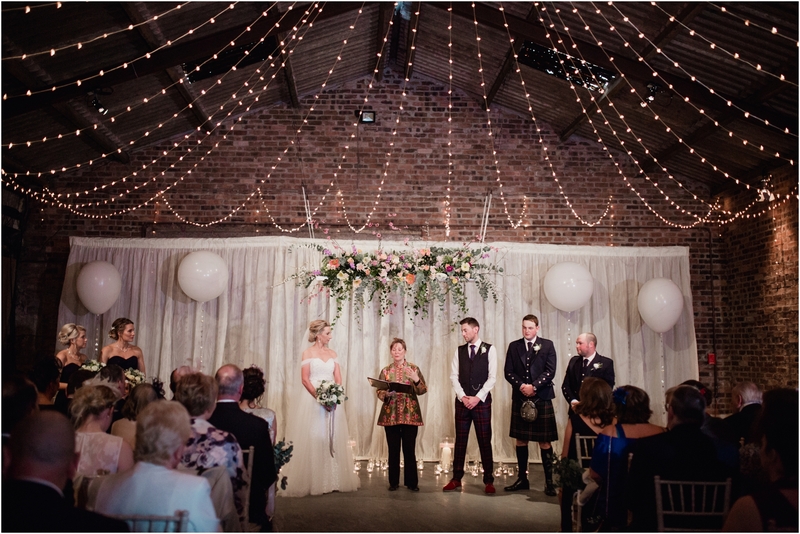 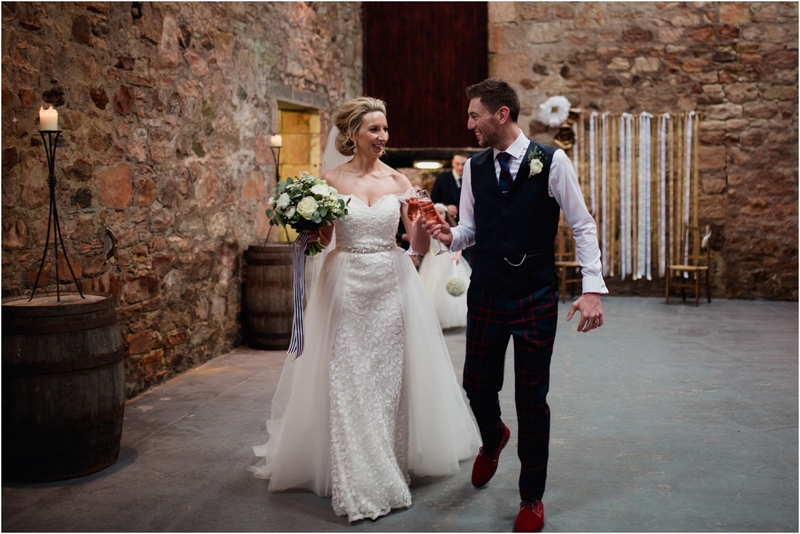 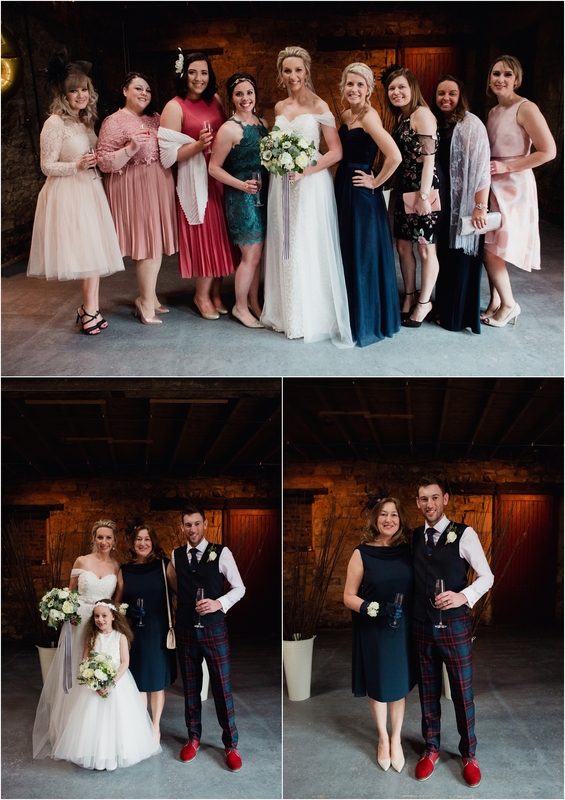 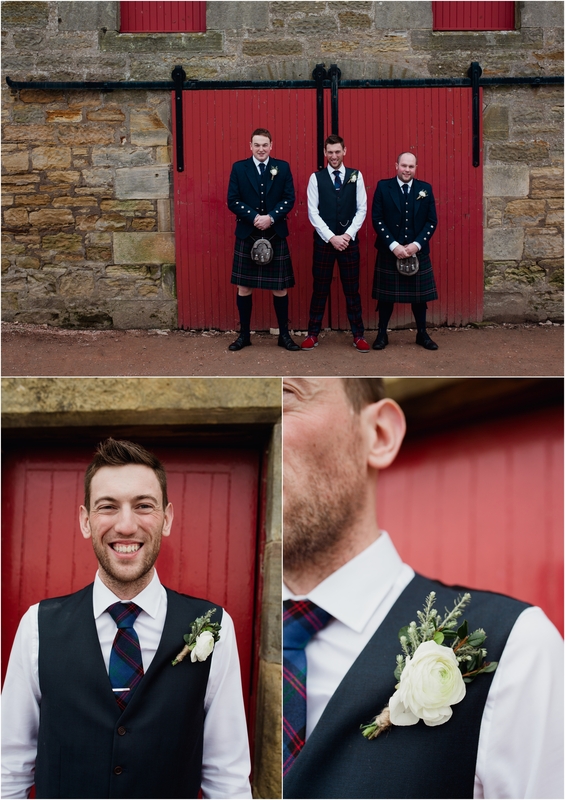 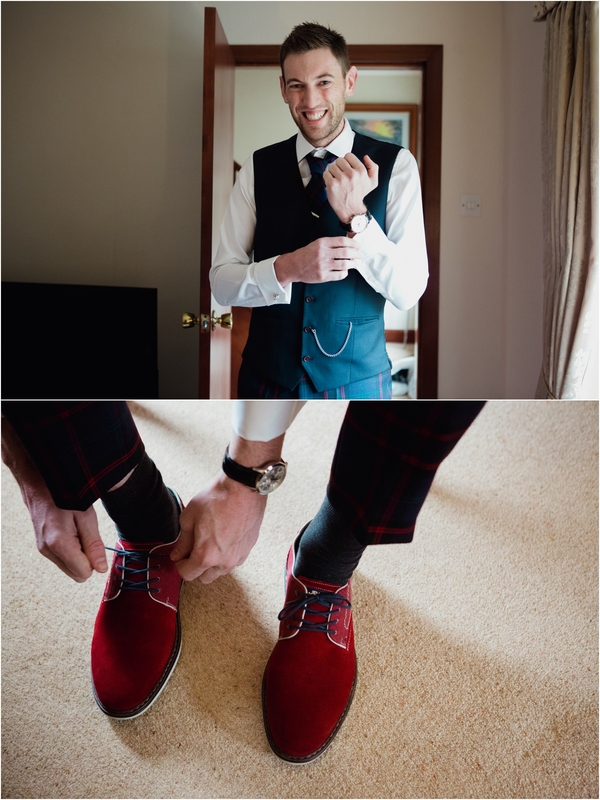 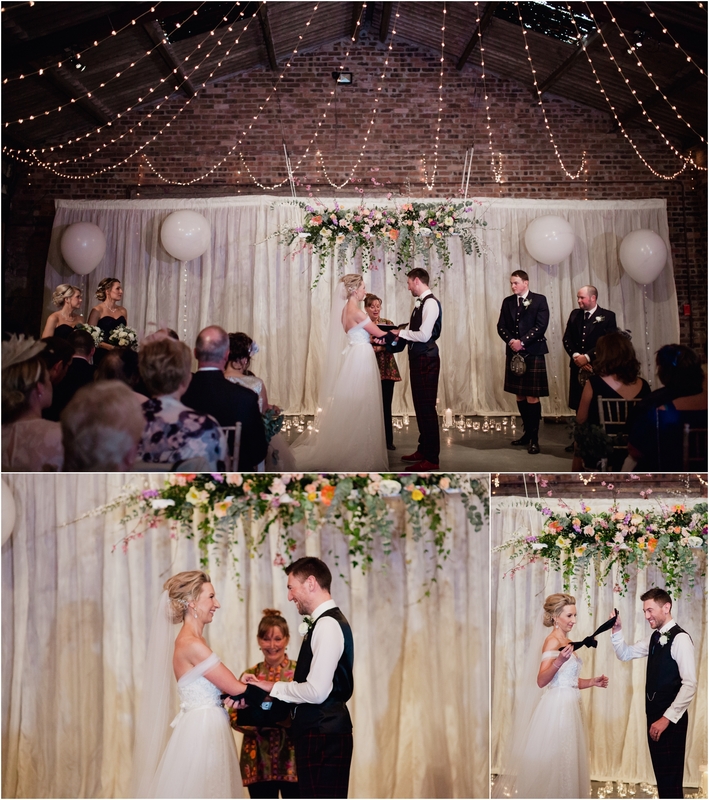 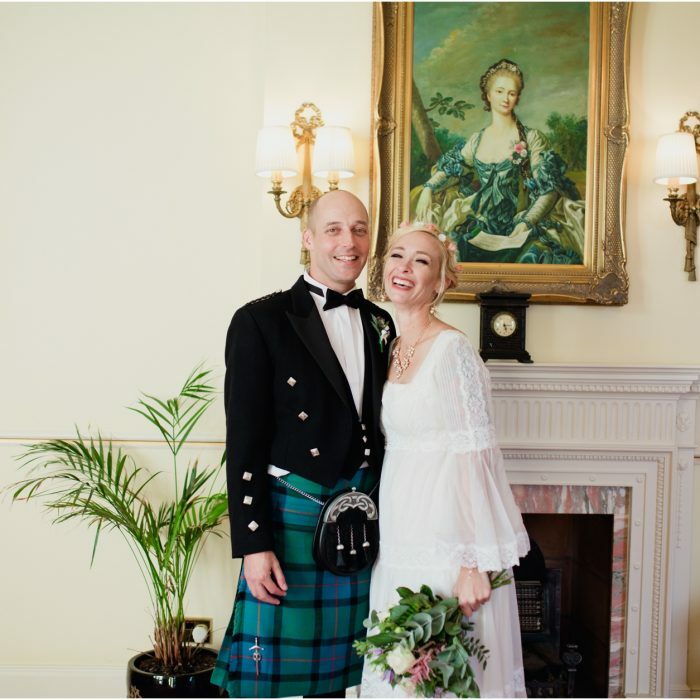 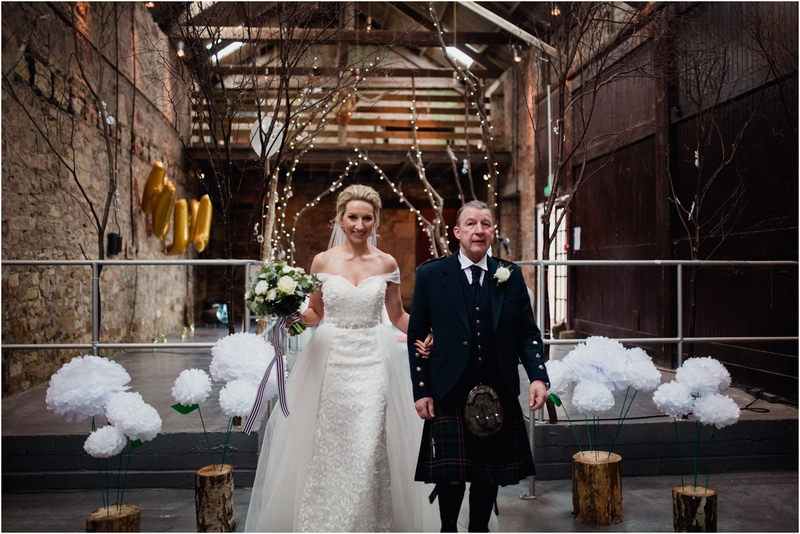 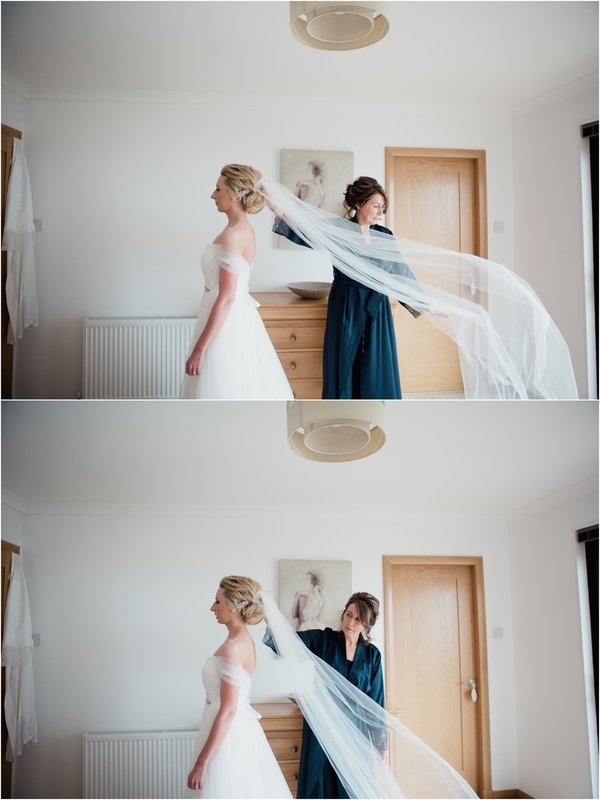 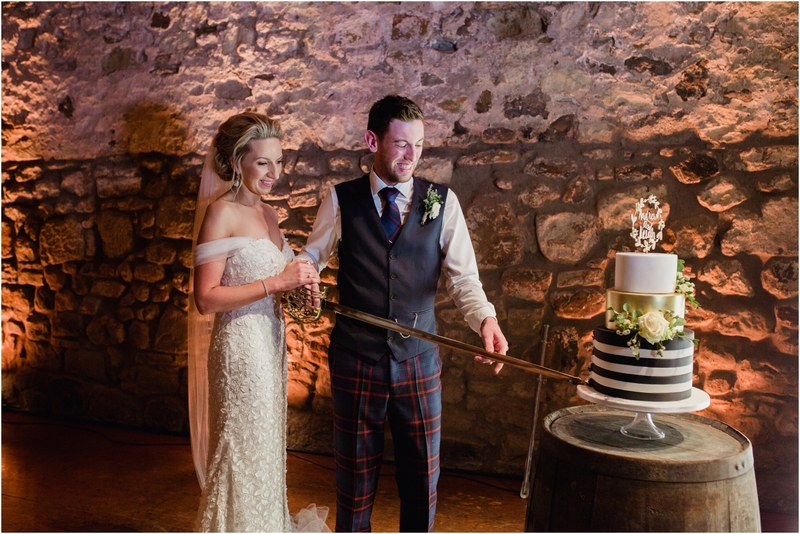 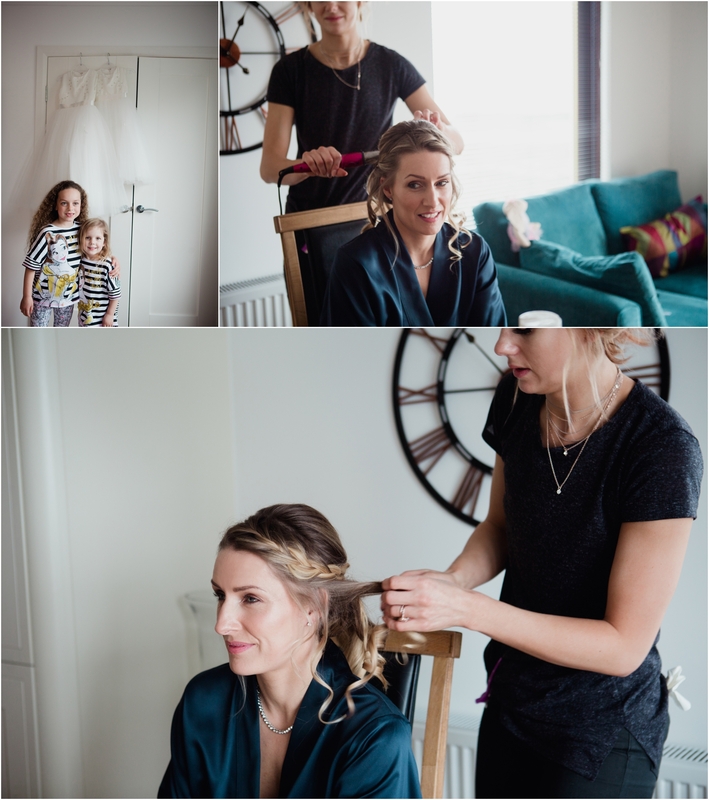 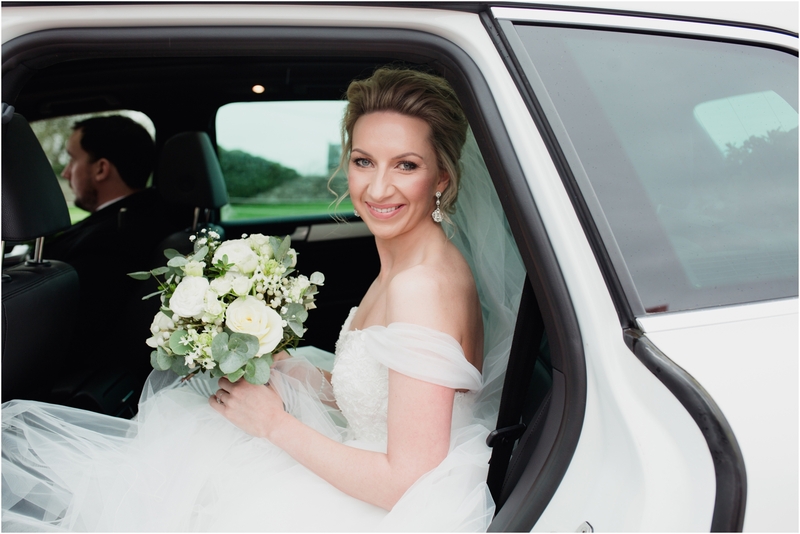 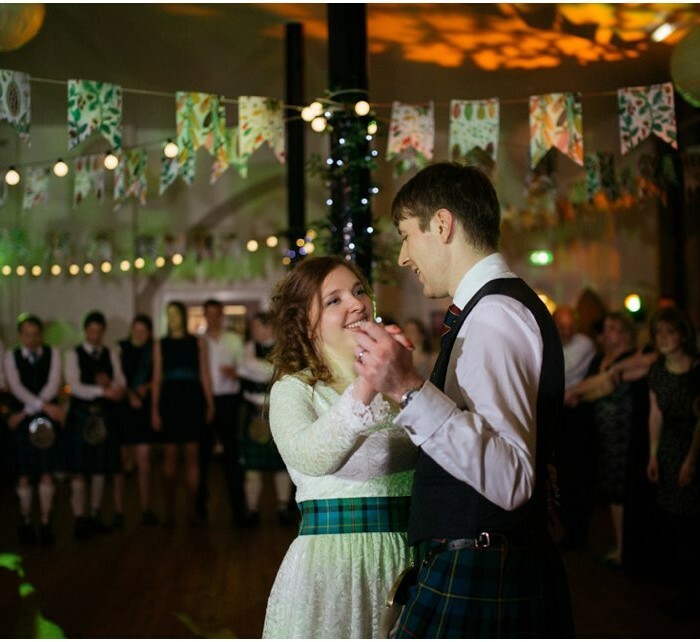 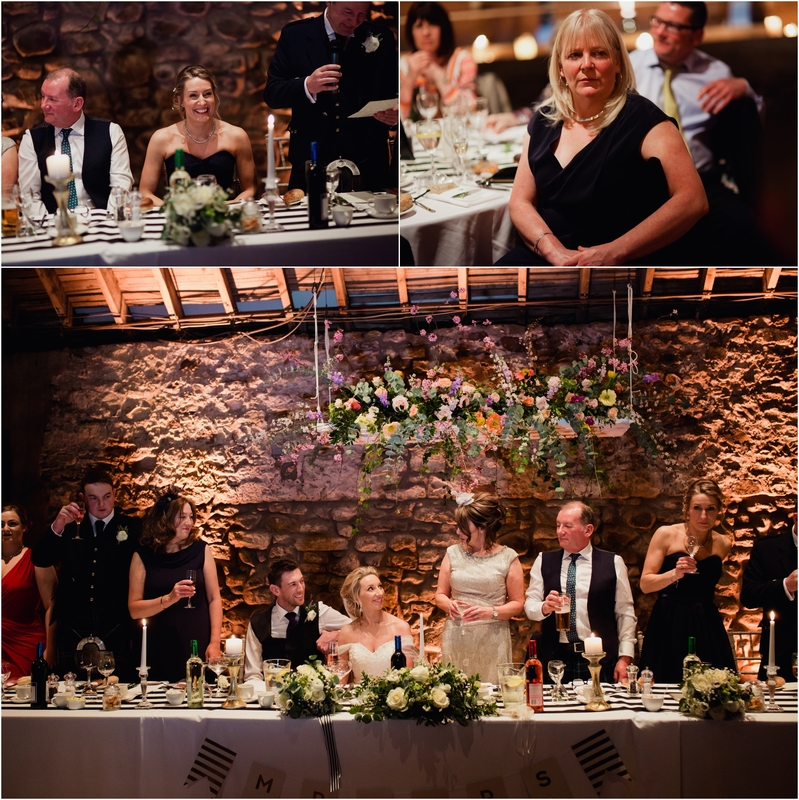 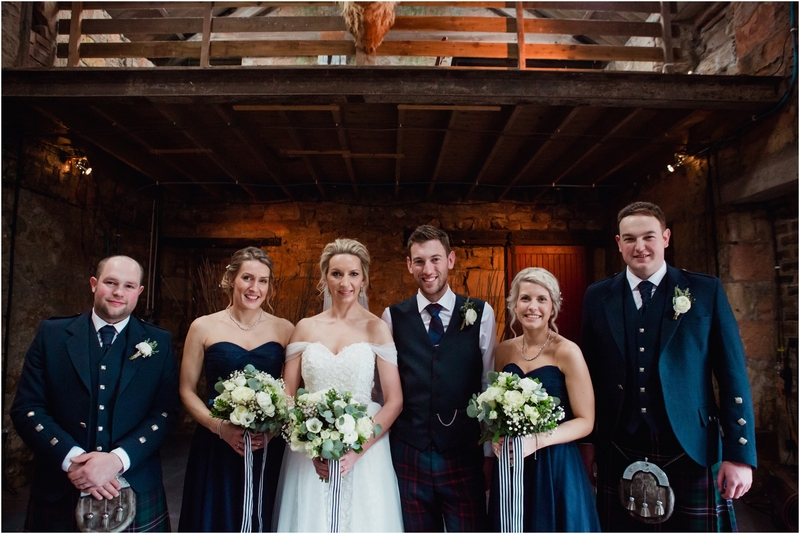 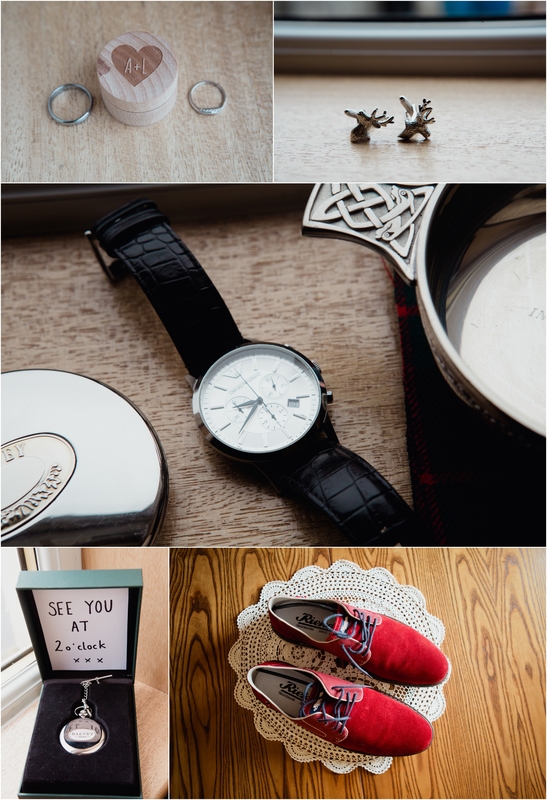 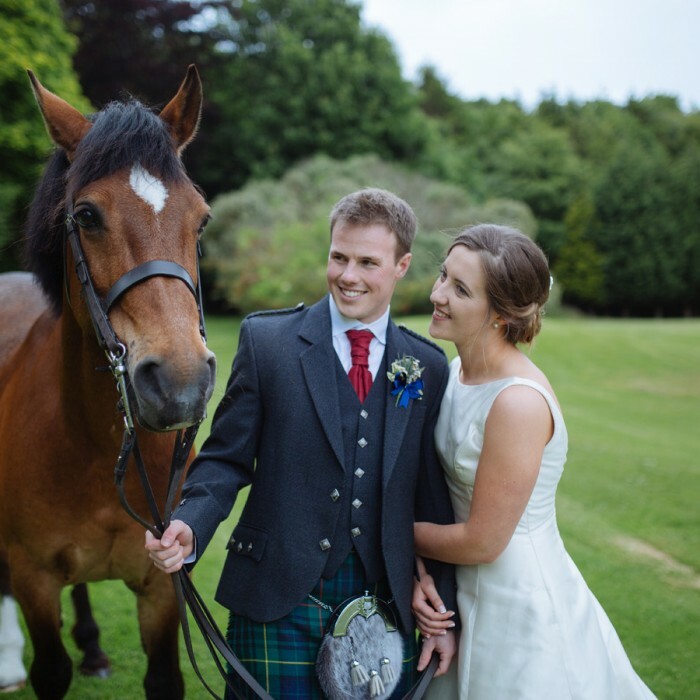 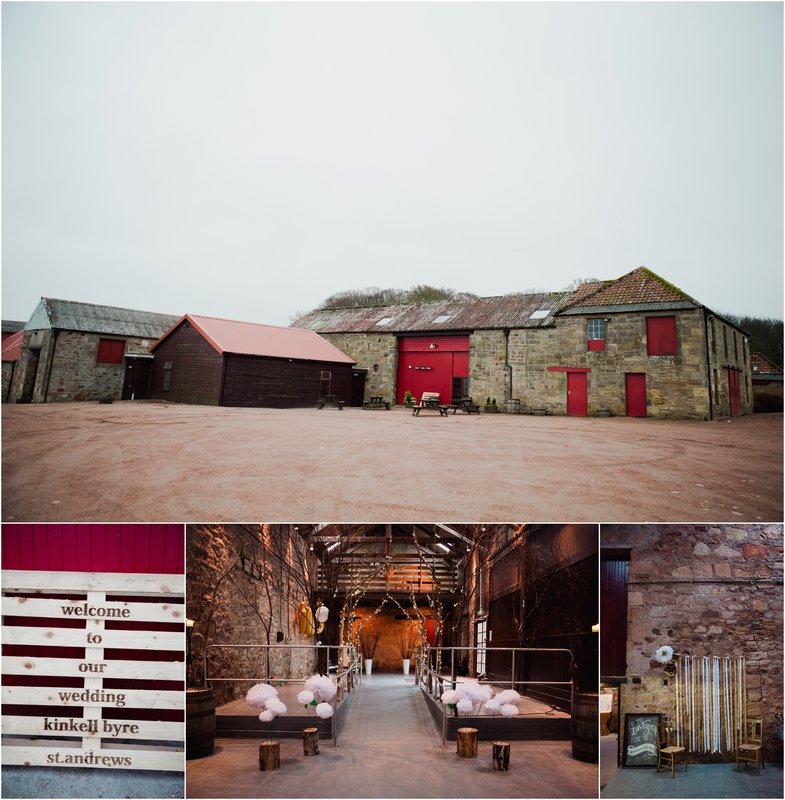 Andrew and Leigh chose the stunning Kinkell Byre near St. Andrews which is one of my favorite wedding venues. 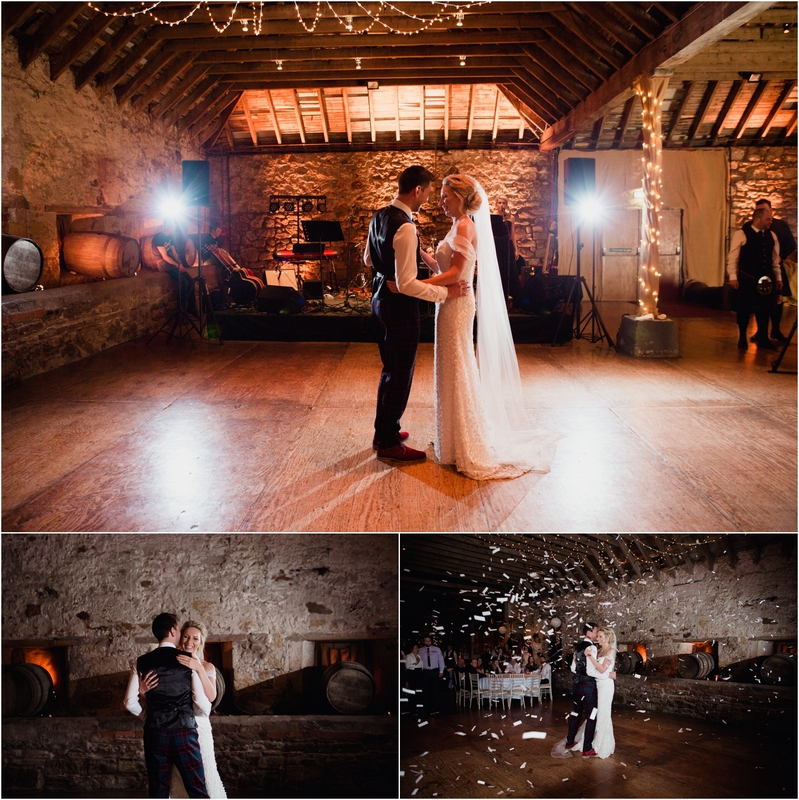 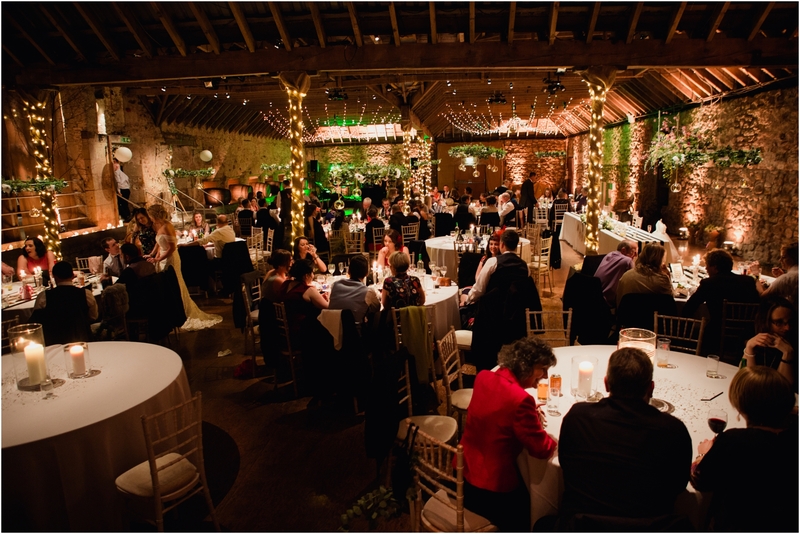 The thing I love most about Kinkell Byre is how it allows each couple to put their own stamp on the venue. 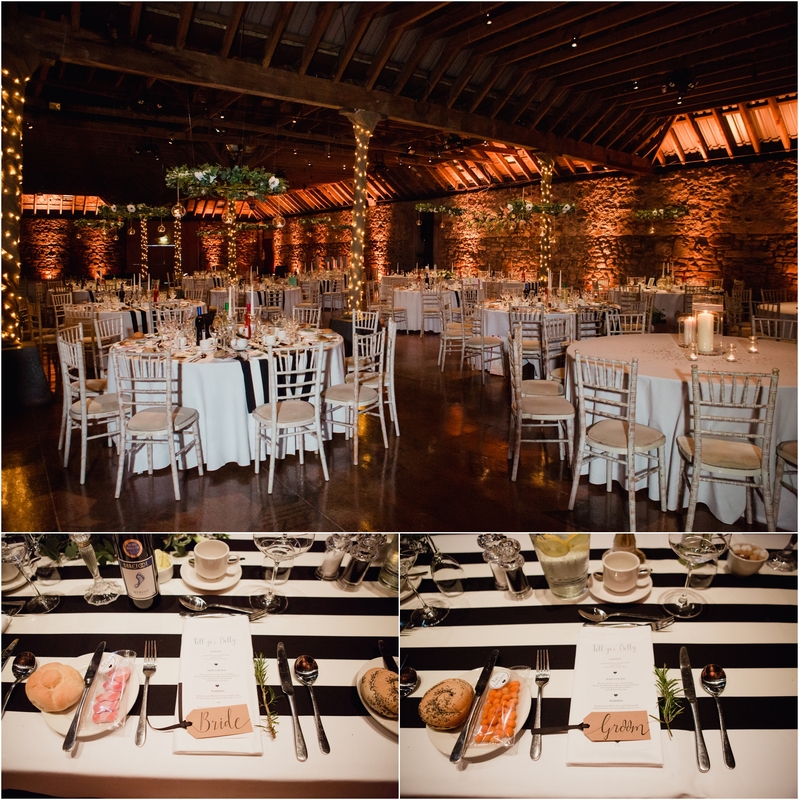 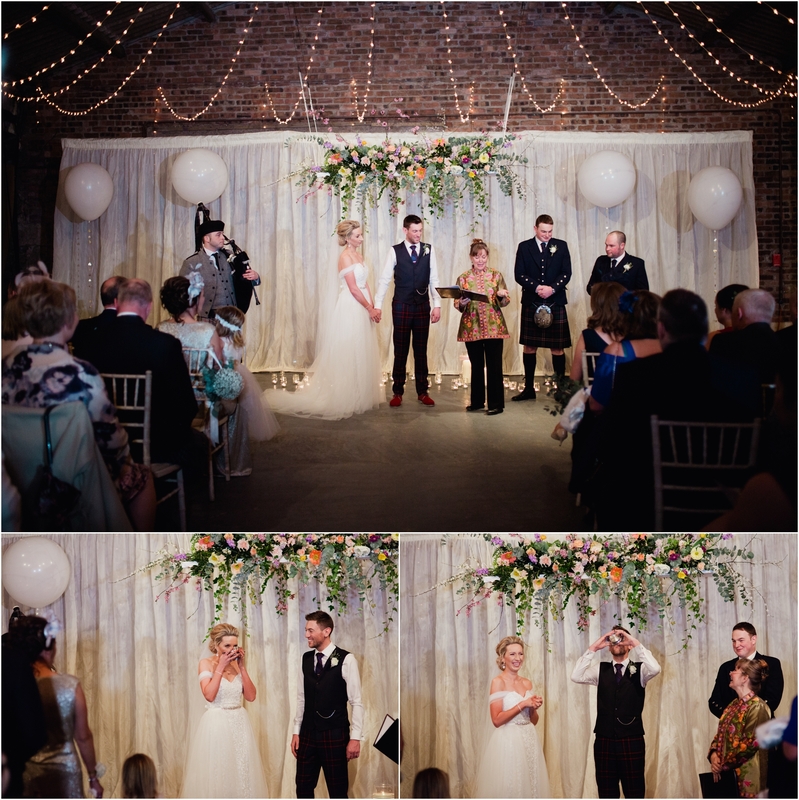 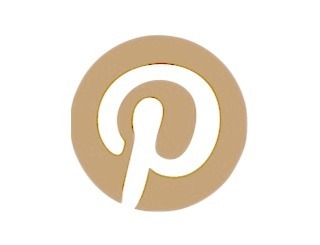 Andrew and Leigh chose a black and white colour scheme with gold accents. 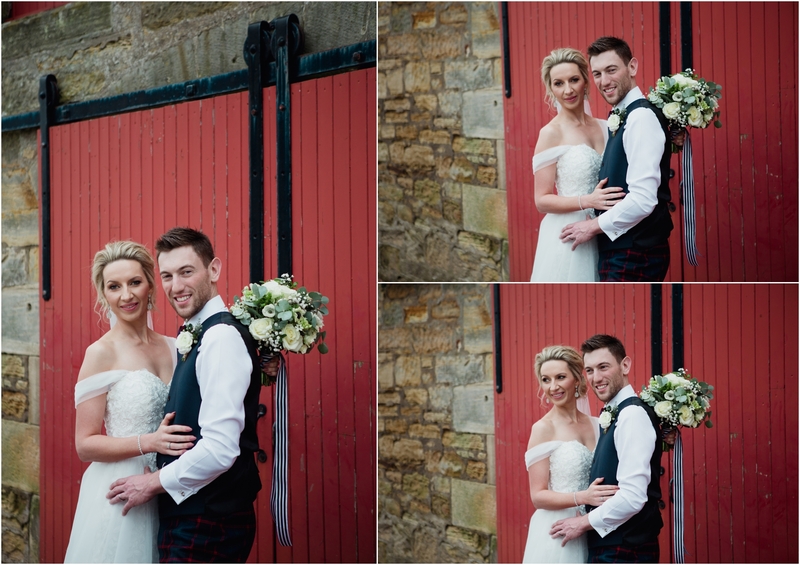 Pops of red linked in well with the iconic red doors at the venue. 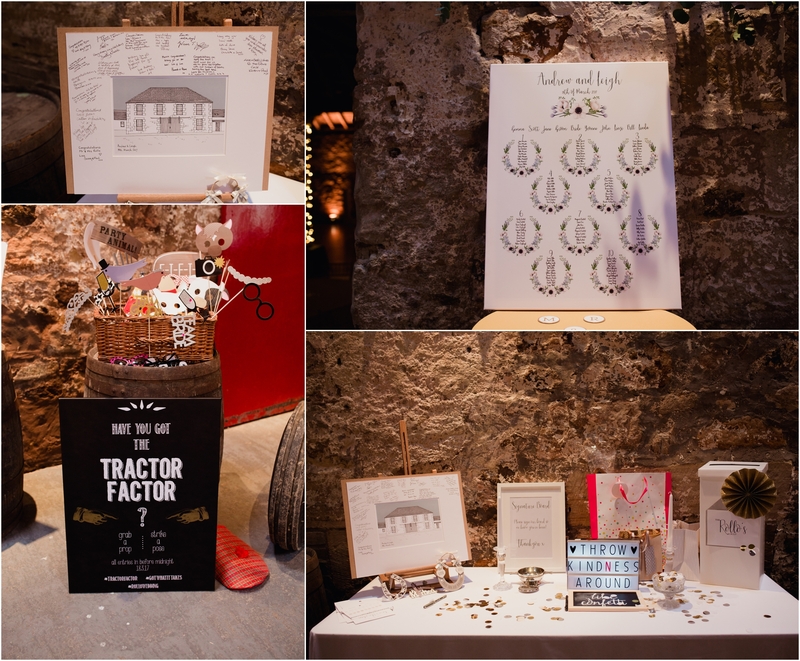 I loved all the hand-made touches they put into the wedding. 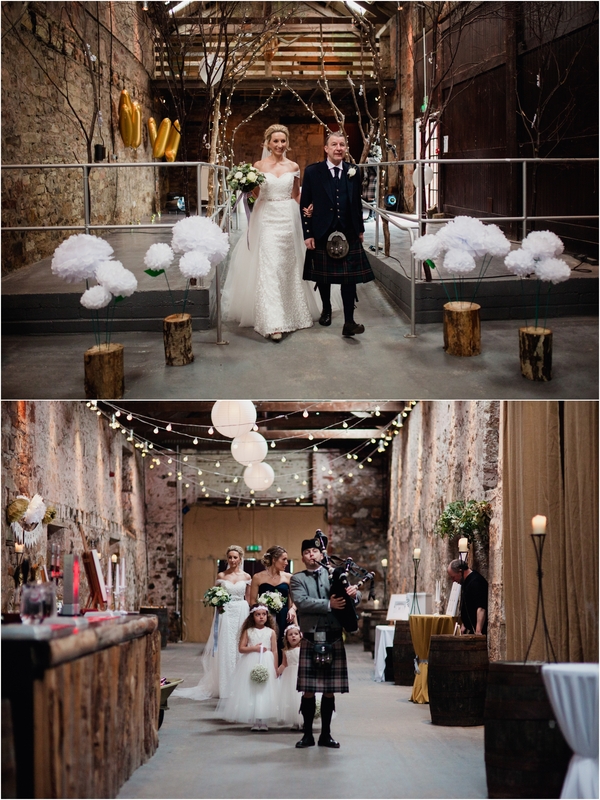 With thanks to Dorothy Nowak (humanist), Stephen Leslie (lighting), Event Bars St Andrews, Blue Poppy Florist, Loren Brand Cakes, @Lauren Baillie (hair), Jullien Weir (catering), Reel Guid, The Glass Slipper, Scott’s Cater Hire LTD, Abbey Wedding Productions, Paul Webster (piper), Hector Russell (suit maker) and House of Henderson Kilts for helping to make the wedding so amazing!